If you thought the high-spec Google Nexus 5 was a decent deal at £300, then the deepest price cut yet will knock your socks off. Independent retailer Carphone Warehouse is now selling the 16GB handset for just £240 in black, red and white. Red and black are available now, but the white model is listed as pre-order and will be ready to ship on February 27. The 4G LTE handset will arrive with a 5-inch full HD 1080p display, with 445ppi, as well as the very latest the Android 4.4 KitKat operating system. Meanwhile, the presence of a 2.3GHz quad-core Snapdragon 800 processor, with 2GB RAM in the engine room, makes it a match for most high-end handsets on the market. The camera comes in at 8-megapixels, while the manufacturer LG also packed in a 2300mAh battery promising 17 hours of talk time. 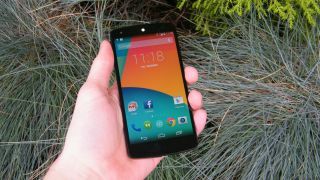 Our review late last year commented: "There's a minimalist charm to the Nexus 5 that's hard to resist. It's comfortable to hold, the display looks great, it's extremely fast, and it never slips up or stutters. This is Google's invitingly priced vision of a premium Android smartphone." For £240? That's smartphone finesse money (usually) can't buy.